The inclusion of the parent club’s moniker links the two teams and keeps an identity on the Raptors brand. 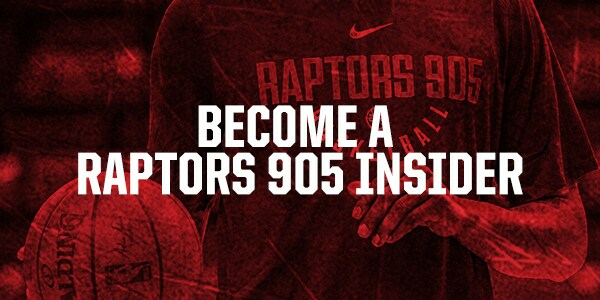 The 905 pays homage to where the team is located in Mississauga and the rapid growth of Toronto’s suburbs. The 905 is the area code used for the Greater Toronto Area. The GTA is home to 3.4 million people, including 757,000 in Mississauga alone. There are seven players currently on NBA rosters that grew up in the 905 region, including NBA G League alumni Tyler Ennis and Cory Joseph, along with Anthony Bennett, Andrew Nicholson, Nik Stauskas, Tristan Thompson and Andrew Wiggins. What is the NBA G League? The NBA G League is the official minor league of the NBA. Founded in 2001, the league now features 26 teams with direct affiliations to NBA franchises. It offers professional basketball at an affordable price in a fun, family-friendly atmosphere. The 2014-15 season was a record-breaking year for the league, with one-third of players on NBA end-of-season rosters (149) boasting NBA G League experience. In addition, the league set a record with 47 players earning 63 GATORADE Call-Ups. In addition to fostering talent, the NBA G League continues to develop coaches, referees and front office staff for the NBA and its teams. In bolstering the league’s connection to the community, its teams, players and staff promote health and wellness, support local needs and interests, and assist in educational development through NBA G League Cares programs. The NBA G League also advances the game of basketball as the research and development arm of the NBA. Throughout the season, fans can watch all NBA G League games on NBA G League’s YouTube Channel or the NBA G League website. For more information on the league, including the latest GATORADE Call-Ups to the NBA and the top prospects to watch, head to www.nba.com/gleague. The NBA G League regular season starts in November and runs through April. How do NBA G League contracts work? NBA G League players sign standard one-year contracts with the league, not individual teams. How do the Toronto Raptors assign players to the NBA G League? NBA teams can assign players within their first three years of service to their NBA G League affiliate. In addition, players who have more experience in the NBA can be assigned to the NBA G League with both their consent and the consent of the NBA Players Association. Players can stay with the NBA G League team for as long as the NBA team wishes, and be recalled back to the NBA at any time. There is no cap on how many times a player can be assigned to his NBA G League affiliate. Who can call up a Raptors 905 player to the NBA? With few exceptions (including Raptors on assignment and players whose NBA Draft rights are held), NBA G League players on the Raptors 905 roster are under contract with the league, not a specific NBA team, and are NBA free agents. As such, they are eligible to be called-up by any NBA team. What happens once a player gets called up? NBA G League players are eligible to be called-up to an NBA team at any point during the NBA’s preseason or regular season, with 10-day contracts being offered only after a specified date in January. The contract the player receives depends on his years of service in the NBA. A player can be signed to two consecutive 10-day contracts with an individual NBA team before that team must either sign him for the remainder of the season or release him. With call-ups and assignment players, how does a team set its roster? An NBA G League team’s roster can be fluid. There are many ways a team can acquire players: returning players, the affiliate rule, the NBA G League Draft, assignments, trades and the available player pool. An NBA G League team’s roster must be 10 players, with up to two (2) additional spots for players placed on the inactive/injury list. If its NBA parent assigns players, the team’s active roster may be expanded to 13. Once the season starts, teams are limited to 14 roster moves each year. There are exemptions to that limit if a team loses a player to a buyout, call-up, or season-ending injury. How does a player return to the NBA G League? An NBA G League team has returning player rights on any players on its roster for two consecutive seasons. What is the affiliate rule? An “affiliate player” is claimed by an NBA G League team via the affiliate rule. When a player goes to NBA training camp and is waived, the NBA team’s D-League affiliate can select up to three players whose rights are not owned by another NBA G League team. What does it mean when a player is “waived”? When a player is waived in the NBA G League, the team has given up their rights to him. After 48 hours, he clears waivers and any team can claim him from the available player pool. What is the NBA G League Showcase? The NBA G League Showcase is the premier event for NBA G League players to show off their skills in front of NBA scouts and personnel. It is a week-long event, where every NBA G League team plays two games against predetermined opponents. During its history, more than 30 NBA G League players have earned GATORADE Call-Ups to the NBA during or immediately after the NBA G League Showcase, while an even larger number benefited from the exposure of the showcase. Is there an NBA G League All-Star Game? Yes. The NBA G League All-Star Game is played during NBA All-Star festivities. How do playoffs in the NBA G League work? Eight teams qualify for the NBA G League playoffs, with the four division winners earning the top four seeds. The remaining four teams are seeded 5-8 based on regular season record. The playoffs are made up of three best-of-three series. The top seed plays away for the first game, and the remaining two games (if needed) are played at home. Is there a limit to the number of Canadians allowed on an NBA G League roster? There are no restrictions to the number of Canadians allowed on an NBA G League roster. 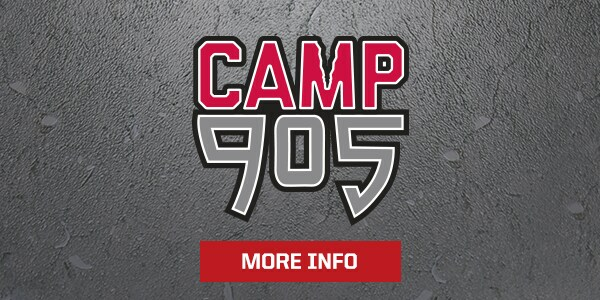 Will the Raptors 905 play any games at Air Canada Centre? Yes. There are plans to have some NBA G League games played at Air Canada Centre, when the schedule permits. Where can I see games online? Raptors 905 games can be streamed on Facebook Live. For more information, visit our Ticket Central page.